The winds were strong across the Atlantic this morning. The plane I was due to meet at Heathrow was due at 7.50 but expected about 40 minutes sooner. So an earlier start than planned got me to Terminal 5 at 7.45, which with a bit of luck would be about right to meet somebody working their way through corridors and passport control. But luck, it seemed was in short supply. The flight had landed at 7.16, but didn’t make it to a gate until 8.06. How better to fill the time than with a little gentle twitter snark. 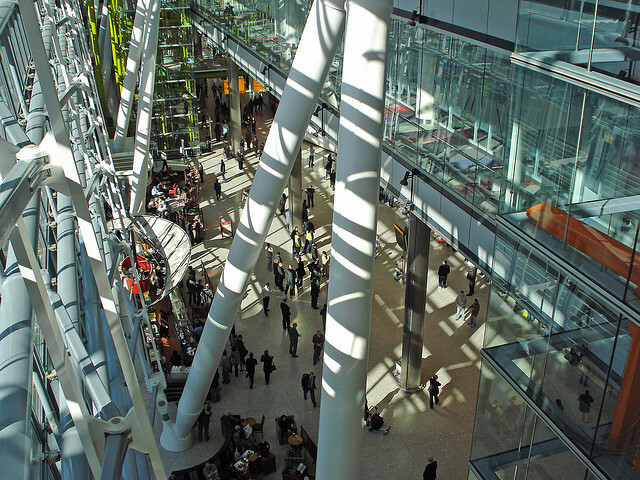 Meeting flight at Heathrow. Fifty minutes from plane landing to reaching the gate. Impressively unimpressive. At the time, it wasn’t at all clear quite who was being so unimpressive. British Airways, perhaps, or maybe Heathrow Airport, perhaps some anonymous sub-contractor doing something obscure but essential. Certainly there wasn’t any information being offered about what was actually going on (but that’s another issue for another time). As it fairly quickly turned out, this was a small part of a much bigger problem, which later this morning had become the lead item on the BBC news site, pushing even Nelson Mandela to second place. The fault, it turns out, is not with either the airline or the airport but with the air traffic control system, which was somehow unable to make the transition from night to day this morning (a problem we can all have some sympathy with). So here is a new villain in the shape of NATS. Or their IT system. Or their telephony supplier. Or perhaps a system fix without quite enough regression testing. Or who knows what. And that’s really the point of this post. We live in a world of complex, interdependent systems. We interact with service providers, and form our judgements about them on the basis of what they do and how well they keep us informed. It would be nice not to have to know or care that they depend on others to get things right as we depend on them, but the reality is of course that they do. Somewhere there may be a villain in this story, but it’s almost certainly not the people in airports who are probably getting the sharp end of the blame. As ever, and as in other contexts, if you want to change a system, you have to understand it first. I work at a small commercial service airport and can tell you that flight delays, though seemily intended to screw up your day and throw your world into caos, are usually a result of a safety system failure. You may not think at the time that this is a good thing, but better a delay than a catastropic outcome that you can’t recover from. A couple of weeks ago we had a few cancelled flights due to the failure of a piece of navigation gear…at another airport. The reason that this was so important was that this other airport was the primary backup (safety feature) for ours. There are delays for maintenance of aircraft, delays for flight crews… The maintenance should be obvious- you want your airplane to work. The flight crew issue may not be as obvious. The nice lady or gentleman that you have showing you how to put on your seatbelt and passing out drinks and peanuts is also the person trained to handle emergency situations in flight. These good folks endure what you do periodically, for a living. They are exposed to hundreds of people with hundreds of personalities, some sick, some angry, some just offensive. In the event of an actual emergency, they are all you’ve got. Communication between passengers and the different entities involved with air travel is tenuous at best. There are reasons behind this. The ticket agent bearing the brunt of your frustration probably doesn’t have the detailed information that you would like. She also probably doesn’t have the time to explain ticketing, air planning, aviation security, weight and balance, weather, or any of the other things that affect your timely departure. The passengers do not come second. The safety of the passengers is always the primary concern. There are a lot of moving parts and uncontrollable variables. Safety plans and systems are in place to mitigate the risks to the passengers. Delays happen and it’s unfortunate. It is easy to become unglued when your plans get changed due to circumstances beyond your control. Please consider that the airline, the airport, the TSA, and every other involved member of your journey wish that you could reach your desination in a timely fashion as well. They do not delay you out of spite. Most of the time the delay is for your safety. It hadn’t occurred to me to think that any of this might be happening because someone was trying to screw up my day. And that’s the point: as you illustrate so clearly, air travel is a highly complex system, with a great many components which have to work smoothly together, and it is interesting that cause can be quite a few stages removed from effect. The suggestion that I was somehow blaming airline workers is just wrong. Stefan, the airport is quite simply put similar to driving to and from work. Drivers for the most part are LIFERS working 9-5 monday-Fridayand therefore leave up to an hour and a half of having to be at work or home. Have you ever looked at the scheduling of airlines, they too manage to have RUSH HOUR at the same time each day, early morning (6-8am) and then between 4:30-7PM . Employees now offer alternate work schedules, however the airlines have not determined the necessity of off loading some of their peak departure times, and for the life of me I don’t know why. Simply put, they are the only game in town capable of getting you from point A to point B in a limited amount of time. As an author I felt bad that your search for the root cause ended without ever looking past Heathrow Airport, which probably caused the arrivals gate to be occupied longer than usual. Your response comes from an AirTraffic Controller with experience as a Controller, Supervisor, Traffic Management Coordinator and Air Traffic M.anager (all within the New York Metropolitan airports). Mr Stewart Sutherland, I am not sure if you have noticed but most airline stocks have been in the green, so in some small way you are correct, as a passenger you may come second, and the bottom line is and always will be number one. Back to Stefans comment about delays, the number one reason for will most likely be scheduling. 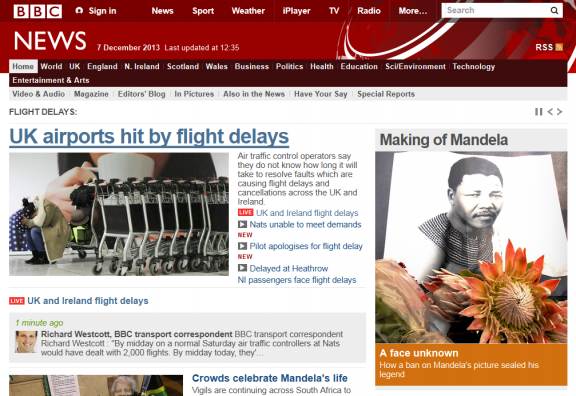 Now ask yourself why did the BBC override the Mandelka event in favor of DELAYS, ask them why? I am sorry that you felt bad that my search for the root cause had ended without looking beyond Heathrow Airport when the whole point of the post is that the root cause lay beyond Heathrow Airport. And in this case the delay had absolutely nothing to do with scheduling and everything to do with the loss of air traffic control capacity.